I think there is something romantic about the idea of writing an autobiography. You can of course make it as raw, true, real as you would like. You can also fabricate, elaborate and imagine slightly different realities for your life. I have enjoyed dabbling with fashion posts. It was something I always wanted to get into, knowing full well that people were likely not taking notes from a basic accessorizer such as myself. None the less, I have fun posting outfits. 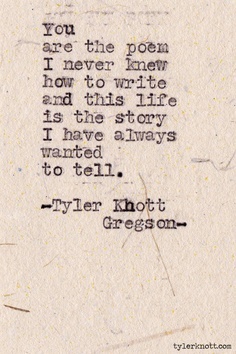 Lately, I have been fantasizing about the idea of writing an autobiography. Sitting down to write a real book about myself. I know what you're already thinking... who would even care to read it? And have you been alive long enough to write an autobiography? Well it's actually not the audience I care about. I once saw a movie titled "The Words." It has Bradley Cooper in it. There is a character in that movie who writes an autobiography (on his typewriter no less), that just excites the creativity inside me. Writing my book would be about the journey and the experience of writing the book, rather than about who reads it and what those people think. Sometimes I forget my first love; Writing. Sometimes I forget the excitement that comes from words on a page, text on a screen. Sometimes I am too tired to take the time to write, but when I do I feel a sense of completion and a sense of pride. So here is to spending some summer afternoons/evenings writing. It may be seen right here on my blog, in the privacy of my journal, or it might just be on pages and pages of white paper. Here is to summer inspiration and the joy of being young and loved by a God who created me to be who I am.